WE TAKE CARE OF YOUR HEALTH AND YOUR APPEARANCE! Adcure is not just another clinic; it is a place where each patient receives special care from our dedicated team of doctors. We promote your wellbeing and correct imperfections establishing a balance between your health and your appearance. The use of modern treatments and the newest techniques in regenerative medicine are the main allies that help us help you feel comfortable in your skin. Adcure is a multidisciplinary clinic that provides individual, personalized treatments for each and every patient in the field of regenerative medicine . Our goal is based on maximum dedication to our patients, and the constant desire to introduce innovations and improve our services. That's why we established a medical center that provides effective and innovative treatments, aimed at people who want to preserve their health, and have a younger-looking and healthy body. We can treat inflammatory pathologies on the knees, elbow, hips, shoulders and spine. Fistula, ulcers, scars and non healing wounds. Like Parkinson and Alzheimer disease, autism, cirrhosis, cardiac insufficiency. The highly qualified, discreet Adcure team follows the whole process of the treatments, offering each patient advice and professional support. Our team will provide you with the best solution to combat the main causes that prevent you from having the desired look. We have prepared an arsenal of medical services that will restore your body’s health and bring back the youthful look (and therefore improve your well-being), enhance your appearance, highlight your figure or fix certain imperfections. That is why we have created Adcure, a multidisciplinary space in which we combine modern treatments and the newest techniques in regenerative medicine in order to satisfy our patients’ needs and wants. Reach out to our team, today, to learn how Adcure can help you reach a state of well-being by creating the balance between mental health, physical health, and physical appearance! 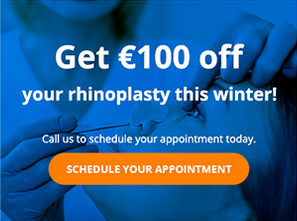 For more information or to request a consultation, contact us on +34 639 378 810, or send an email to info@adcureclinic.com!